The capital of the province of Bolzano-Bozen has a distinctly Austrian flavor. It is situated in a narrow valley which was once the crossroad of several ancient trading routes. While the baroque city center clearly shows that the region belonged to Austria for centuries, modern Bolzano represents an interesting mixture of German and Italian culture. The landscape is dominated by the fascinating Dolomites, which rise majestically to the east creating bizarre formations. 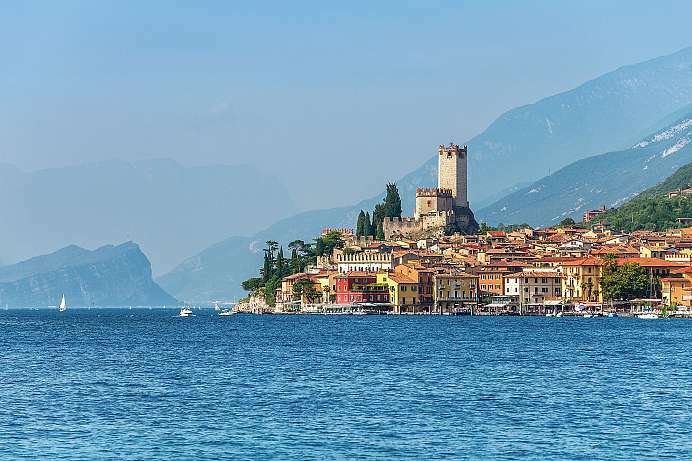 Huddled at the foot of the mountains is Caldaro al Lago. 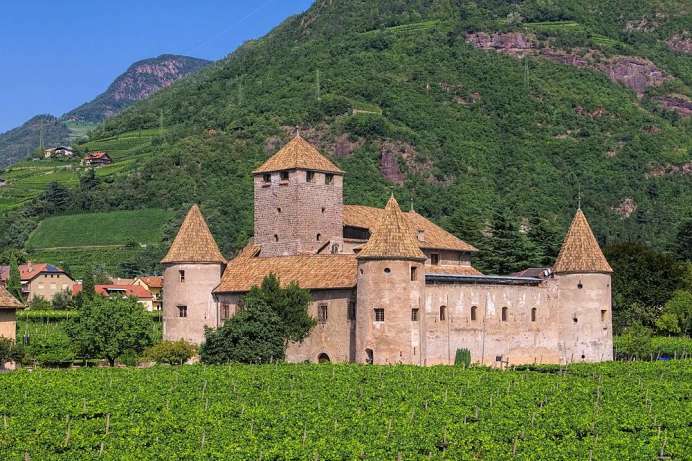 The warmest lake in the Alps is surrounded by vineyards for the production of red wine. This short walk will take you through the old town and along the Talfer toward St. Peter. From there, you will pass through vineyards on your way to St. Magdalena. 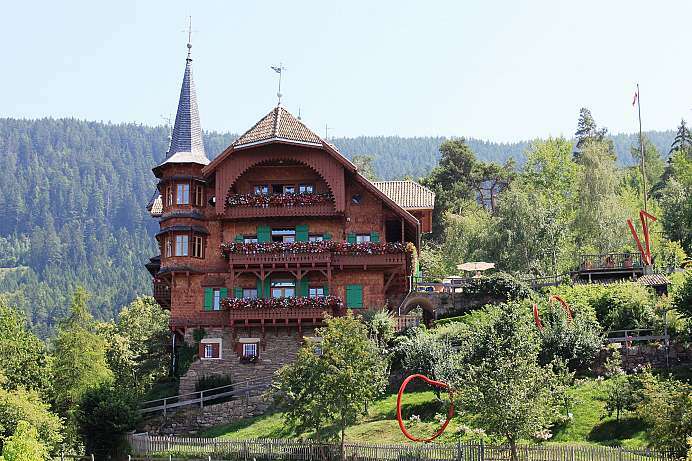 This is where the high-quality St. Magdalener Classico wine is produced, which you can try for yourself in the Eberle restaurant in St. Magdalena. The Bolzano Municipal Museum is currently the home of the exhibit “The Man from Hauslabjoch”- better known as “Ötzi.” The mummy was discovered protruding through the ice in a glacier in the Ötztal Alps in 1992. A public prosecutor was initially brought in because of the mummy's head injuries. The case was closed, however, when a forensic examiner determined that the body was 5,300 years old! 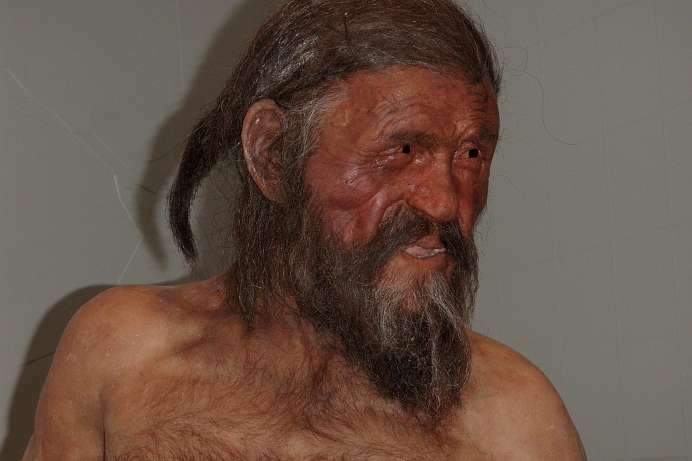 Of particular interest is the life-like Ötzi reconstruction based on 3D images of the mummy.